If you were to think of your small business as a human body, then let’s carry the analogy a little further and say that your revenue stream is the bloodstream of your business. It flows through your business “body” and nourishes all the “cells.” I won’t take this analogy too much further other than to say that when we aren’t paying attention to the pricing component of the marketing mix, we are starving our business-body of the nutrients it needs to live a long and healthy life. As small business owners, we tend to look at the pricing component of the marketing mix the same way we look at diet and exercise – fun to read about and buy products around, but not actually to IMPLEMENT. Please read this review of “1% Windfall” as my urgent plea for you to actually make a commitment to take what’s offered and implement this in your business. “1% Windfall: How Successful Companies Use Price to Profit and Grow” is Rafi Mohammed’s follow-up book to “The Art of Pricing.” I discovered Rafi as I was doing some research to create pricing strategy for a client. I picked up “The Art of Pricing” and was blown away. Rafi and I connected after I reviewed the book and he told me that there would be a follow-up. And here it is. I received my copy about a month ago. Business Challenge? There’s a Pricing Strategy for That! Prospects that don’t turn into customers? You’re probably not turning prospects into customers because you’re not offering enough price points or alternatives for all the potential customers who are interested in some version of your product at a price they are willing to pay. 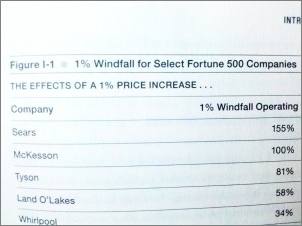 What Does 1% Windfall Mean? I’ve been so excited about how this book can help small business make more money and reach more customers that I haven’t even begun to tell you about what the title to the book refers to! It shows that just a 1% increase in price yields these incredible increases in Operating Profit! I’d say – if it’s good enough for these top companies – it should be good enough for small businesses. In the last chapters of the book, Rafi gives very specific instructions on how to create a “Culture of Profit” in your company. Instead of running away from talking about pricing and profit, run toward it with your arms wide open. If you’ve been hesitating because you don’t know where to begin, purchase “1% Windfall” for yourself and everyone in your company. Then read it together, follow the blueprint and experience profitability in any economy. It’s Fun to Read Too! Maybe you’re thinking that a book on pricing is a snooze. Nothing could be further from the truth. Rafi’s style is engaging. After all, he’s actually an economist which means that if you liked “Superfreakonomics” you’ll like this too. You can see that Rafi is passionate about pricing and curious about what motivates people to turn from prospects to customers. Now, I’ll free you up to get your very own copy of “1% Windfall.” The book is on the shelves and on Amazon. That’s my not-so-subtle hint that you should be clicking over to Amazon or visiting your local bookstore as soon as you’re done reading this review because you will be able to increase your revenue, earnings and profits guaranteed – but only if you DO what it says and not just read what it says. If you are selling anything, this is THE book you should have to set pricing strategy and build a profitable business. 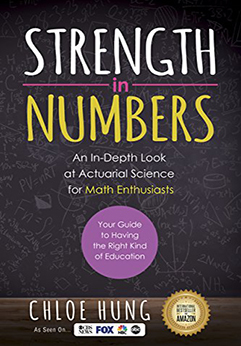 I’ll have to add The Art of Pricing and this book to my reading list. Thanks Ivana! If you want real world advice on buying a business. The no nonsense – real world advice that one needs to move forward in the progress. Please read along as I give the bad – good and ugly aspects of the process. Wow, Ivana, I need this book for me and for my clients. In trying to increase website conversions, I typically just work with the client’s existing pricing, but I can see here that I have to recommend this book and that clients think about how to differentiate themselves with solid pricing. Thank you. I read the same book and it complete transfored the way I look at pricing my products. Foreclosure Help AZ | Short Sale Phoenix! Read “1% Windfall” and Build a Profitable Business. 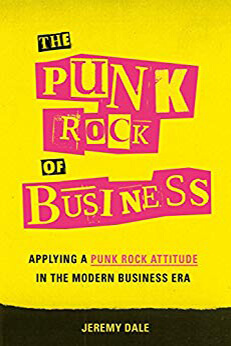 it is a very good book , it really does open your mind and you wish you went back and grabbed all the profits you have missed in past simply because of a poor pricing strategy.